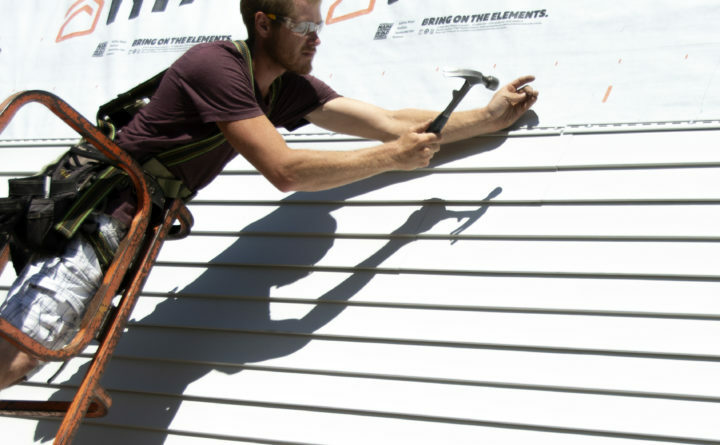 Zack Nelson of Maine Coast Construction nails down a piece of siding at the Buckstown Industrial Park on Tuesday. 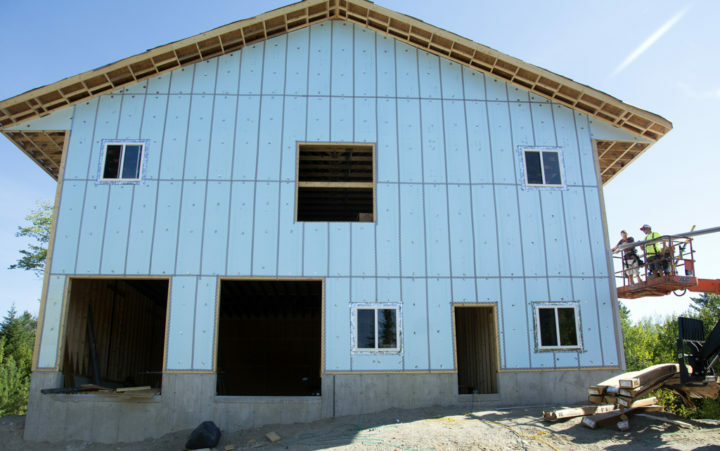 The building will be home to the third of four seafood processing facilities at the park. BUCKSPORT, Maine — Richard Rotella wouldn’t mind if seafood became the town’s marquee industry. Two seafood processing facilities are opening at the town’s industrial park that promise to create about 60 jobs. 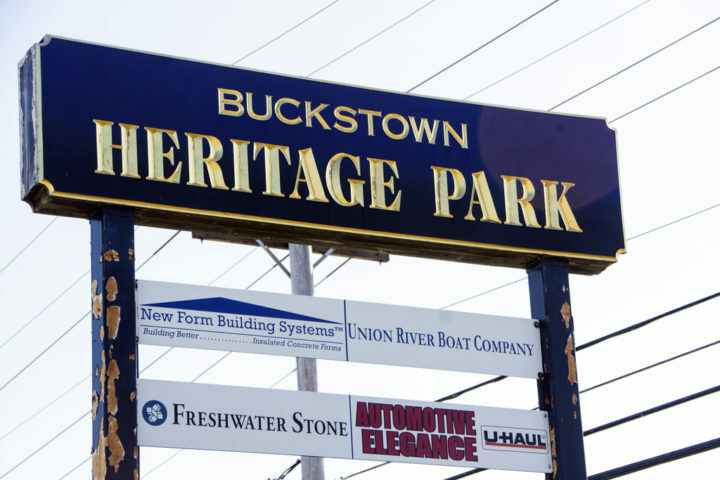 They will be the third and fourth seafood plants at Buckstown Heritage Park, according to Rotella, who is town’s economic development director. Couple them with Whole Oceans’ seeking permits to build a $250 million salmon farm at the town’s former paper mill site, and the town could become a haven for all sorts of seafood, Rotella said. Pemaquid Mussel Farms will open its mussel-bagging operation first, by the end of September, at the town's industrial park. Of the two new businesses, Pemaquid Mussel Farms will open its mussel-bagging operation first, by the end of September, according to Carter Newell, founder and managing member of the mussel farm’s limited liability corporation, which is based in Damariscotta. The other facility, Greenhead Lobster of Stonington’s new processing center, will break ground by October. Pemaquid will create six to 10 jobs, and Greenhead, another 50, Rotella said. Greenhead will be the first business to move into Phase II of Buckstown, a 63-acre site just off Route 1 on Route 46, Rotella said. Eben Bucklin of Maine Coast Construction hoists siding for the new Pemaquid Mussel Farms mussel-bagging operation at Bucksport's industrial park while Zach Nelson heads toward a crane. Buckstown is already home to Water World Seafood of Bucksport, a crab, shrimp, lobster and clam processing plant, and Central Maine Cold Storage, which handles frozen seafood and blueberries. Bucksport was once known as the home of Verso Paper, which shut down about four years ago, laying off 570 people and bringing the town’s 84 years of papermaking to an end. Greenhead will likely open in the spring, Rotella said. Company officials did not return messages Tuesday. Newell said his work represents the commercialization of about $500,000 in grants — about 90 percent from the federal government — over the past five years. Pemaquid mussels are grown at farms 2 to 3 miles offshore on rafts Newell designed. They are collected and processed on the Mumbles, a specially designed barge, before shipment to Pemaquid facilities. Newell expects that his new plant will stuff about 1,000 10-pound bags with mussels a day for cold storage or distribution to restaurants as far south as Boston. With the new facility, Pemaquid will process up to 1 million pounds of mussels annually, said Newell, who has a bachelor’s degree in biology from Colby College, a master’s degree in oceanography from the University of Maine and a Ph.D. in marine biology from the University of New Brunswick. “I am confident that once we can prove success with this business model, and we will know in five years, we will be able to replicate it in 10 places and create 100 jobs,” Newell said.